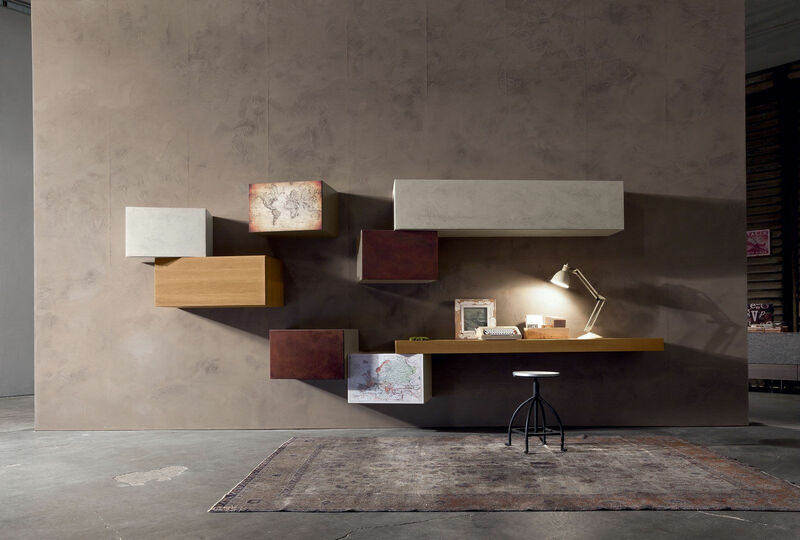 Air features a desk and self standing shelving system that inverts the order of the factors: extreme lightness in the weight-bearing structures and the full physicality of the tops and shelves creates a floating effect. 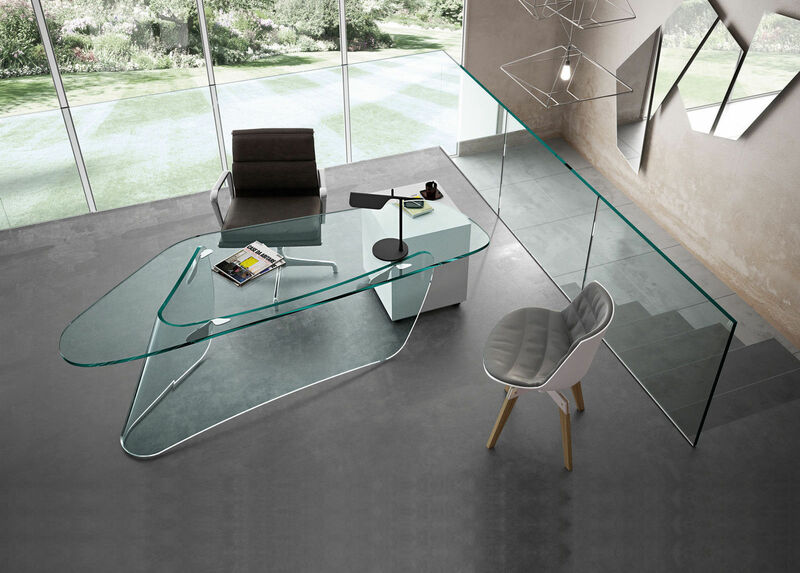 The extra-clear tempered glass support evokes a feeling of tremendous lightness in the design. 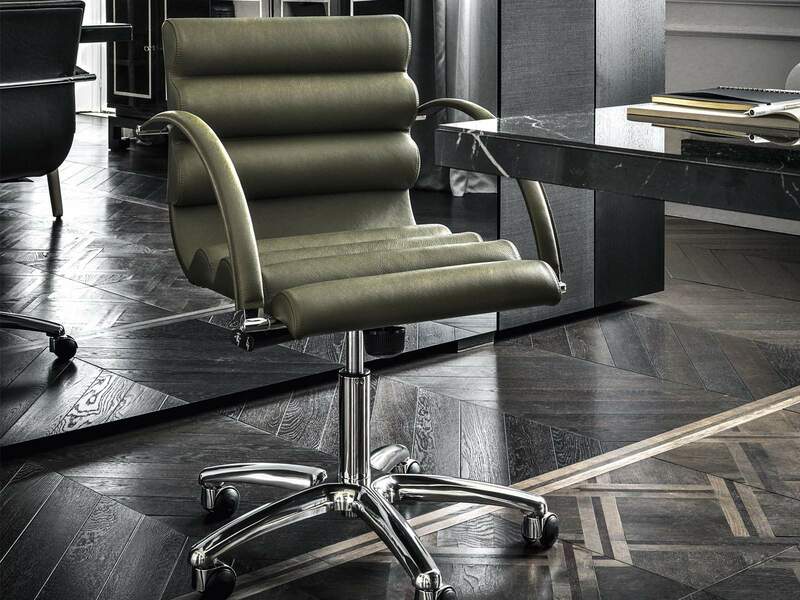 A wide range of finishes. The Air shelf system is made up of shelves and storage units suspended on panels of glass. Available with two faces so it can even be set up in the centre of the room, where it makes the space light and luminous. Closed or recessed heads available on Wildwood desk top models. The desk top can be reduced in width or depth.